The Workshop is a craft producers' co-operative in the picturesque village of St Margaret's Hope. 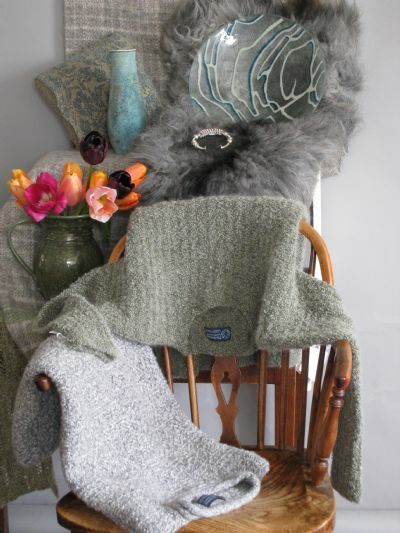 It was established in 1978 for the benefit of local crafts people and specialises in high-quality knitwear and crafts. Created using beautiful yarns and contemporary classic designs, The Workshop's exclusive range of knitwear combines traditional hand-knitting skills with intriguing patterns inspired by the sea and the island way of life. The Workshop also offers an impressive range of the best in local art and crafts, including jewellery, ceramics, textiles, prints, photographs and cards. The Loft Gallery is a delightful small gallery flooded with natural light and providing an intimate venue for monthly exhibitions throughout the season. It is a much sought-after exhibition space for Orcadian and Scottish artists working in many different media.